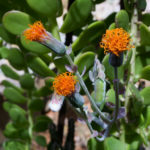 Kleinia petraea is a succulent creeping groundcover with thick succulent stems that root along the ground with green fleshy up to 3 inches (7.5 cm) long egg-shaped leaves that overlap like shingles along the thick stems and blush an interesting purple color in winter. 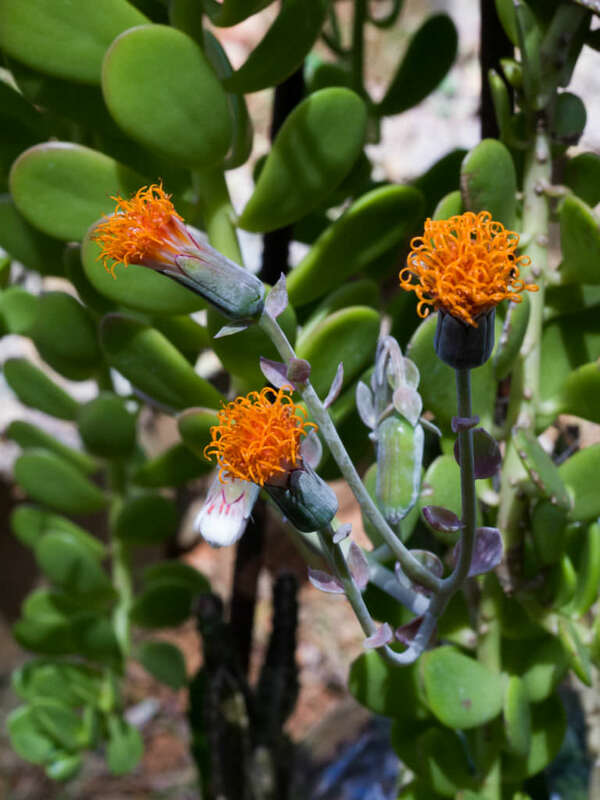 Never in great profusion, or with much regularity, appear the bright orange rayless composite flowers, usually in fall or winter. 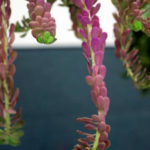 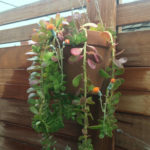 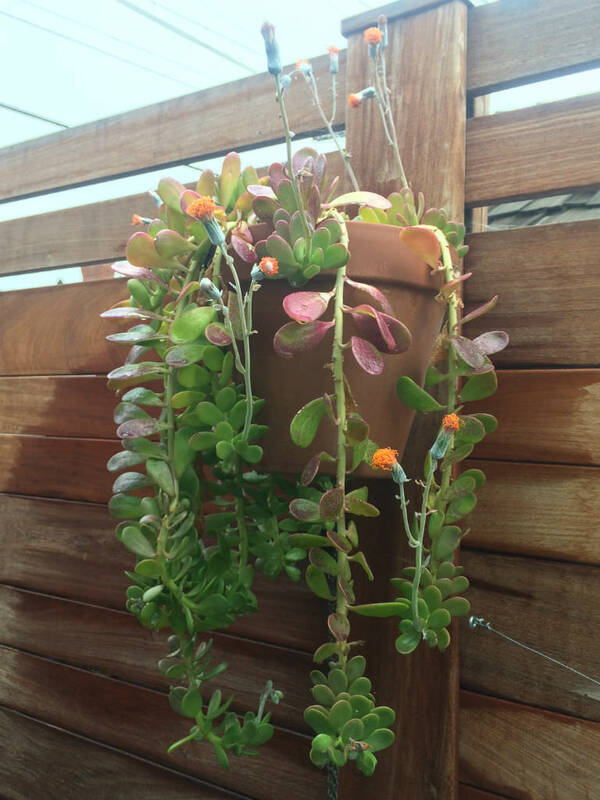 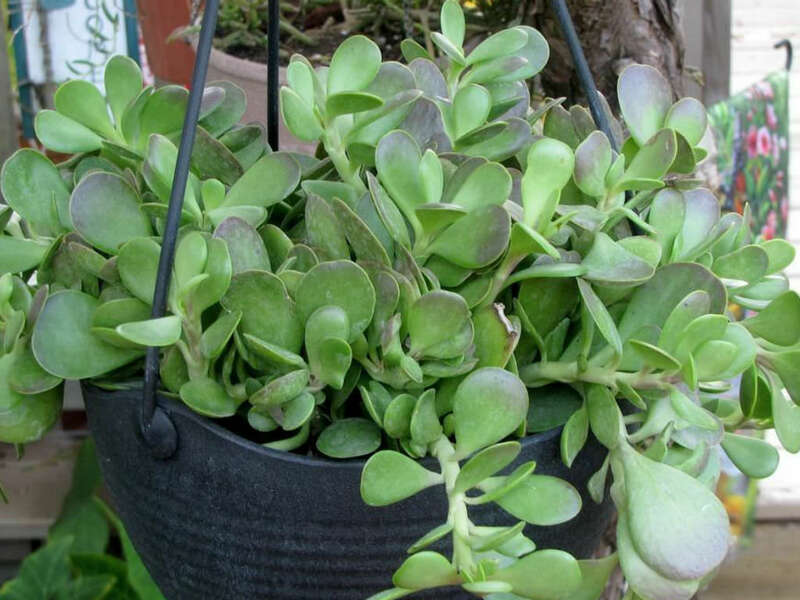 If planted next to a wall, or in a container, the stems drape downwards as much as 4 feet (1.2 m). 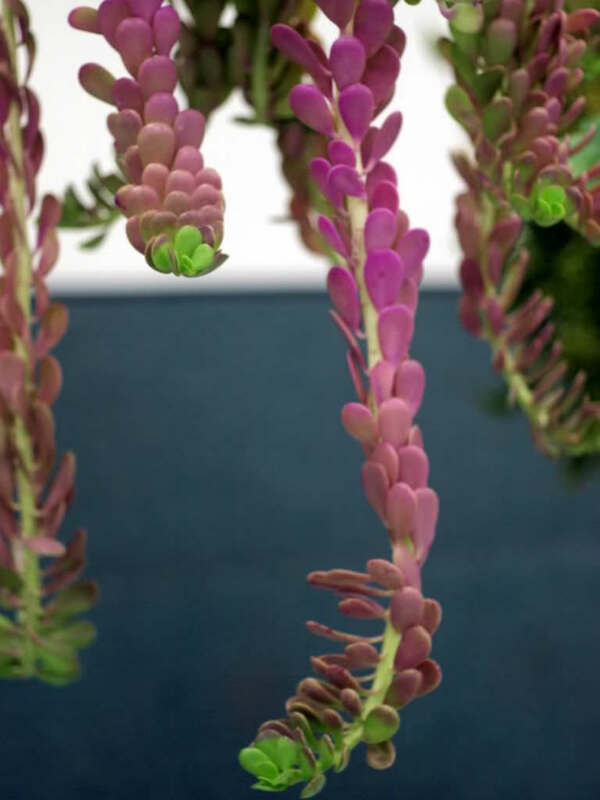 Uniquely, the leaves and the flower stand upright from the stems.